According to the Mental Health Care Act-2017, every person with mental illness shall be treated as equal to persons with physical illness in the provision of all health care. 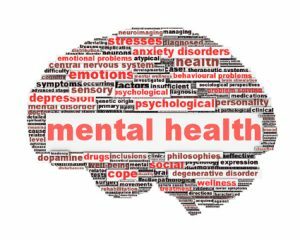 New Delhi: The Union Health Ministry has asked all the states to set up the State Mental Health Authority and District Mental Health Review Board to ensure effective implementation of the Mental Health Care Act, 2017. The Act got the assent of the president on April 7 last year. The State Mental Health Authority which will comprise officials of the state government and other members working in the mental health sector is supposed to oversee the effective implementation of the provisions of the Act, an official statement said. While the District Mental Health Review Boards will address public grievances related to violation of the provisions of the Act. “As per the provisions of the Act, the state governments are required to take certain actions like the establishment of State Mental Health Authorities, the creation of State Mental Health Authorities Funds and setting up of Mental Health Review Boards,” said a letter written to chief secretaries and principal secretaries (health). “The state government shall also take necessary steps to integrate mental health services into general health care services at all levels of health care, including primary, secondary and tertiary healthcare, and in all health programmes run by the government. These actions are essential to be completed in a time-bound manner and given adequate publicity so as to ensure timely implementation of the provisions of the Act,” it said. Also, attempts to commit suicide by a mentally ill person will not be punishable under the law. The Act also prohibits the use of electroconvulsive therapy, referred to as “shock therapy”, without the use of muscle relaxants and anaesthesia on a patient suffering from mental illness. Besides this, such patients cannot be chained in any manner as per the Act. The ministry in collaboration with NIMHANS Bengaluru, Central Institute of Psychiatry, Ranchi and Lokopriya Gopinath Bordoloi Regional Institute of Mental Health, Tezpur is conducting online courses for medical officers, psychologists, social workers and nurses to make them equipped with skills to handle persons with mental illnesses. This initiative of the ministry is aimed at addressing the gap between requirement and availability of professionals to handle persons with mental illnesses. The Health Ministry has also taken cognisance of acute shortage of qualified manpower in the field like psychiatrists, psychologists, social workers, clinical psychologists and mental health nurses. Against the requirement of 13,500 psychiatrists, there are around 4,000 psychiatrists as on January 2015. There are thousands of ACTS WITH OUT ACTION . THE ONLY ACT IS ACT AGAINST THE INNOCENT, HELPLESS. OTHER WISE THEY ACT LIKE THE AGENTS OF CASTEIST, CORRUPT, CUNNING , CROOKS. Amongst qualified professionals hardly 25% of them are in a right place . It is hard to find a committed psychiatrists except in few reputed INSTITUTIONS (,few individuals) like NIMANS . THAT IS DUE TO TOTAL BAN ON PRIVATE PRACTICE . UNFORTUNATELY IT IS HARD\’TO FIND SUCH INSTITUTION. I HAVE SEEN A PSYCHIATRIST BUGGERING UP THE CASES TO THE MAX. IN AN UNORGANISED COUNTRY LIKE OURS, HAVING VERY POOR IMPLEMENTATION OF RULES / LAWS. CHANGES FOR GOOD IS UNTHINKABLE. LET PEOPLE SITTING IN DELHI MAKE IT\’S AIR BREATHABLE . THE POLUTION CAPITAL OF THE WORLD. This project is going to be a Utter failure , the movement you involve / include the unprofessional BABUS like cheap & yellth secretaries in any professional matters , specially related to health & medical education , the entire project is going to collapse like a pack of playing cards. The failure is clearly written on the wall only thing the MINISTRY / MINISTER OF HEALTH SHOULD LEARN TO READ WITH HELP OF HIGHLY QUALIFIED PROFESSIONALS CALLED DOCTORS HAVING MORE THAN 100 SPECIALISTS. UNFORTUNATELY IN INDIA FOR DOCTOR MEANS THE ONE GIVES INJECTION BEFORE THE DEATH AS SHOWN IN HINDI / INDIAN MOVIES.